The Revital team has over 25 years of experience in mortgage lending and real estate. They have dedicated their careers to helping potential home owners understand the industry. Although the team at Revital has consulted families in a wide variety of circumstances, their focus has concentrated on helping families become home owners and optimizing their financing potential. Over the past decade, they have helped thousands of families realize the American Dream. They would love to add your name to the growing list of success stories that emerge on a daily basis. 1. Mortgage Handbook, which explains the different types of mortgage financing currently available. 2. Mortgage-Credit Handbook, which explains what is takes to credit-qualify for mortgage financing. 2. Assistance locating realty professionals in your area. 3. Assistance locating mortgage professionals in your area. 4. Assistance in completing and submitting mortgage applications. 5. Credit Assistance, if needed. 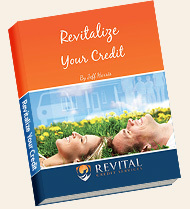 I started working with Jeff at Revital Credit Services in April of 2012. What I felt was impossible to do; Jeff assured me that it could be done. I truly appreciate the service I received! It is also a relief to know that Revital Credit Services will be there if I ever need their services again! I would gladly recommend their services to anyone I feel is in need! Thank you. I started working with Jeff in November, and by March I was at my goal! He was professional, easy to contact and FAST! I never thought I could get this type of result so quickly! I would definitely recommend them to others. Because of Jeff's help I'm about to close on my first HOME! Thanks for all you do! Buying A Car During The Home Loan Process, What Can It Hurt? © 2019 Revital Credit. All Rights Reserved.